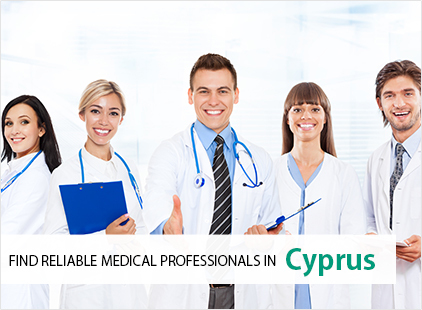 Your connection to trusted medical resources, Find reliable medical companies here Read more..
Why consider Cyprus for medical tourism? All medical and health practitioners are welcomed to join our portal in order to promote their services locally and internationally and expose their expertise to an audience interested in medical and health matters from Cyprus. As a subscriber you can post news, information and articles that involves your area of expertise, announce events or job vacancies and receive enquiries from patients interested in your services. Banners spot on the homepage are now available at very reasonable prices. The homepage receives the highest numbers of visitors both from Cyprus and abroad, therefore a banner gives higher exposure and takes the visitor directly to your own website. To get a proposal please send your request at info@sedinvest.com.